BET Logistics a component of Bougainville Experience Tours (BET), recently established to provided logistics services in the Autonomous Region of Bougainville. BET is a 100% locally owned and largely a tour service provider. The company has now been operating for 6 years in the Autonomous Region of Bougainville, Papua New Guinea since its establishment in 2009. With local expertise and wider business experience and network in the past 6 years as a tour company, BET is now expanding it Business operations into logistics services. BET is now expanding its business operation into logistics in providing the following services. The logistics management team has extensive experience handling inwards and outward cargo both sea and air cargoes. The team have more than five (5) years experience handling cargoes. The team leader Mr. Gabriel Samo is a certified Dangerous Goods Inspector and Handler with fifteen (15) years work experience with Post PNG Limited and TNT Air Cargo Couriers. Qualified freight handlers both road, sea, and air with more than five (5) years in industrial warehouse around the country. 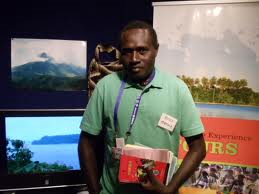 Provide a logistics to Mr. PIP Movie filming in Central Bougainville (Pidia Village) during casting period. Providing Logistics Service to National Agricultural Research Institution in terms of Accommodation, transport and Community liaising for Sago declining and Panguna mine Phyto Remediation Research. Providing logistics Services to National Agriculture Quarantine & Inspection Authority in terms of transport and accommodation. Provide logistics to Inscape shipping in bringing in Cruise ship into Autonomous Region of Bougainville’s Kieta Port with assistance with our Partner – Melanesian Tourist Services. Providing logistic to National Department of Minerals Policy & Geohazards Management in terms of Transport and accommodation. Sales Agents of Airlines PNG, Arawa Office and soon to provide ground handling service at Aropa, Kieta airport for the company.